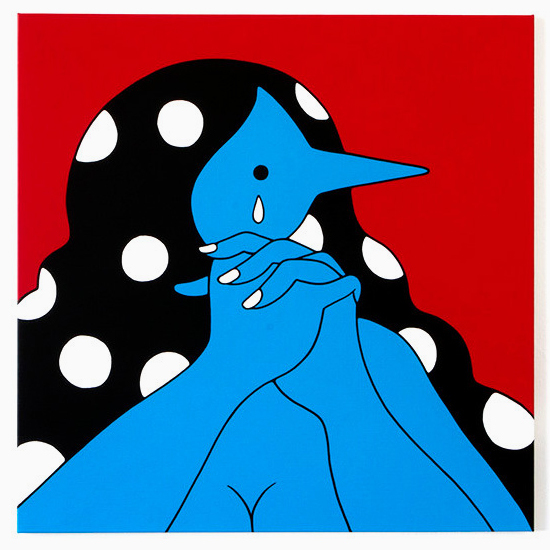 Dutch artist Parra is back with a new solo show dubbed ‘Same Old Song’. The exhibition started on June 28th and is open until July 10th at HVW8. 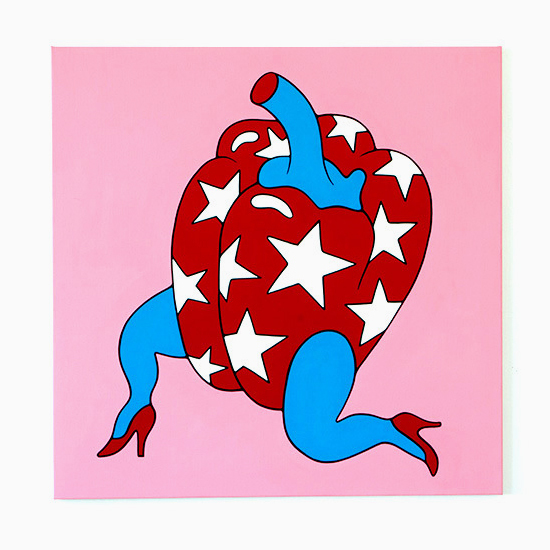 “The works in Same Old Song are overturned wine glasses, leisure-suited perverts, and behind-the-bar-booty slaps arranged in compositions of red, white, blue, pink, Ben-Day dots, and stars. In all its orgiastic fervor, his work is foremost graphic in character: tightly controlled compositions, highly saturated colors, flood-filled silhouettes, flatness, and hard edges that are hallmarks of the comic tradition that Lichtenstein had notoriously usurped to conflate the proverbial high-and-low strata of the 1960s Pop movement.